Great article by Albert Bates in Medium.com, featuring our CARBONATOR™ 500. Let me be clear. The way this works is that the kind of carbon trees are removing is called labile carbon, the type used by photosynthesis to grow plants and feed or shelter us. Pyrolysis transforms labile carbon to a different molecular form — recalcitrant carbon. Its bonds are too strong to be easily broken by microbes or light, so by being made into biochar it exits the photosynthetic carbon cycle and becomes structure for soils and other useful things. Today we call this biochar, but 1000 years ago it was better known as the active ingredient of dark earth (terra preta). Read more at on Medium.com. 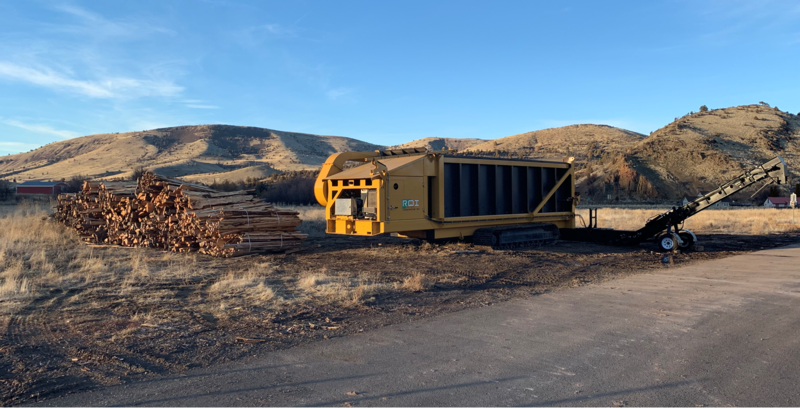 The mobile CARBONATOR™ 500 is the most advanced, cost-effective and environment-friendly wood debris recycling systems ever built. The CARBONATOR™ 500 converts wood and other suitable biomass in to a high quality biochar at high throughput rates. Designed to accept trees, brush, stumps and other wood debris, as well as C&D, without grinding or chipping. To learn more about our CARBONATOR™ 500, please visit our product page.